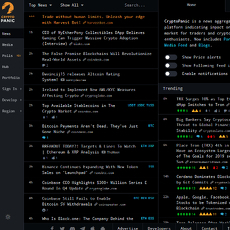 12+ Cryptocurrency News Aggregator - Cryptolinks - The World's Best Cryptocurrency Sites List! 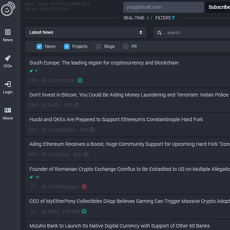 Undoubtedly, Crypto News Aggregators is a type of news platform for cryptocurrencies but what makes it different from Crypto Blogs or Crypto News platform is how active and responsive they are. 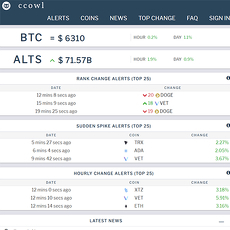 They are known to be quick with updates and give real-time information about cryptocurrencies. 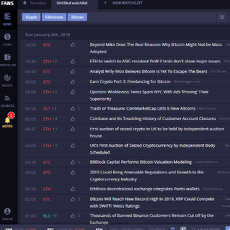 Unlike crypto news platforms that takes time to upload or publish a news, crypto news aggregators monitor and gives the fastest means of information on happenings in the market and on cryptocurrencies generally. 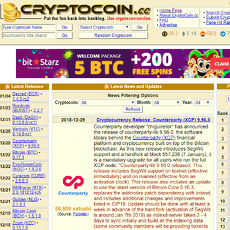 In this category on cryptolinks.com, there are 13 sites which are known for their undaunted information about cryptocurrencies; they are easy to use and have certain requirements for maximum use. They ensure a 24/7 monitoring of cryptocurrencies and give users relevant information. All these sites listed have their pros and cons and how they differ from each other with features. However, if you would like to choose from any of these sites as your first-hand and reliable source of information, there are some factors you should consider. 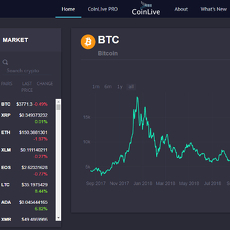 Some of these sites are involved with monitoring live prices of coin and changes in the market in order to keep users updated, and in order to compromise this function, they are available as apps. 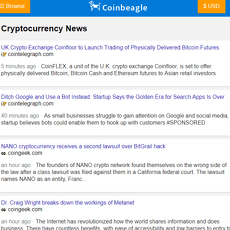 A good crypto news aggregator has a mobile app that is very easy to use by crypto users. The kind of data the site displays is of immense importance because you wouldn’t want to compromise the main reason why the news aggregator was created. For instance, you wouldn’t put an irrelevant information on betting when there are pressing issues at hand on cryptocurrencies that need urgent user’s attention. A good news aggregator presents the right data for the right purpose and for the sake of research, there are important historical data that are kept in the archives of some of the sites. One important thing professional users of cryptocurrencies for either trading, mining or investing look out for is the originality of these data. They must be accurate, topnotch and easy to find. Since we are monitoring the price of cryptocurrencies and changes in the market, the fiat currency which is supported on the site is important. If a crypto news aggregator only provides information on a fiat currency like USD and you use a different type, it is advisable to go for one that gives you information about yours rather than facing conversion challenges. Although, the top-ranked out of the 13 sites will support other fiat currencies but the features may not be as intriguing as other types. The design of a news aggregator is as important as the news it carries. The design creates a special type of user experience and ensures maximum comfort while using it. Designs are important not just for colors but also in the level of organization of the tools on the web. Just like a dash board where you find different information, all information should be placed into categories and make sure they don’t look too cumbersome. It is okay to weigh different news aggregators by the kind of features they possess. Features are additional benefits to what the site was created purposely for. You can have features such as a live chat, data tools, customer service support, newsletter, quality graphical representation and several others. Features are very important because it is through that two most important and useful news aggregators can be judged and reviewed upon. 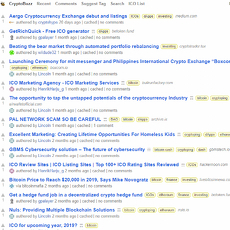 All these factors explained above are very important in order to fit into the standards of the best crypto news aggregators, especially on cryptolinks. 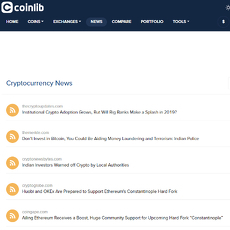 Crypto News Aggregators are almost similar to Crypto News platform but the difference is that they possess some tools which make them informative than every other news site. 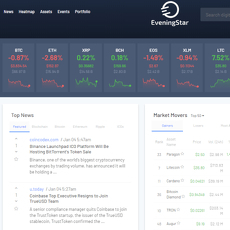 These tools allow them to monitor, track and watch as price changes in the market and alert crypto users of the changes. Even their names automatically describe what they do. While they are good as applications, majority of them are in a desktop or web format which limits their potential. 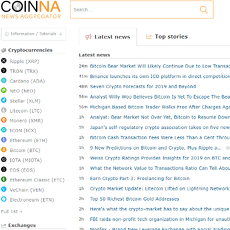 Unarguably, most crypto users will actually prefer a crypto news aggregator app to a news aggregator web.